Build community! 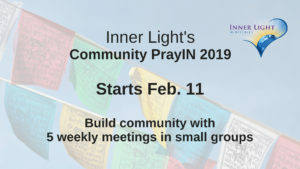 Sign up for Inner Light’s Community PrayIN 2019. 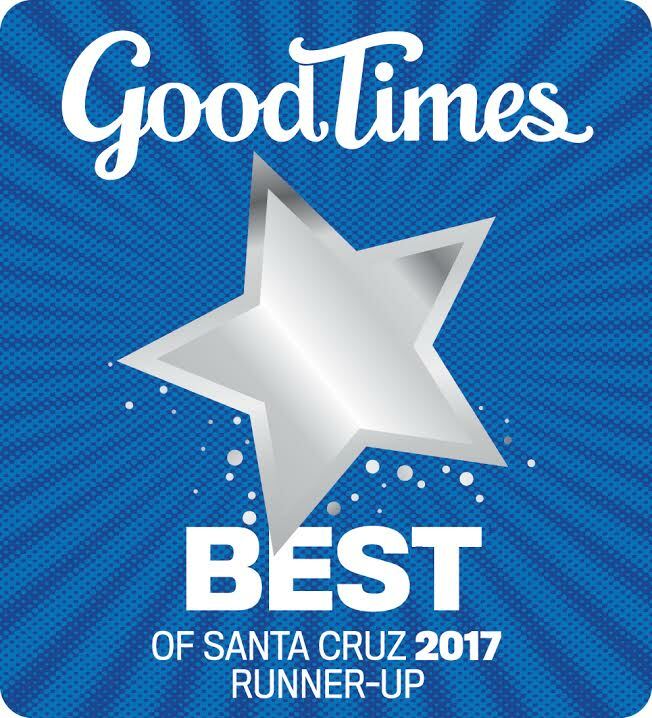 We meet in small groups one day or evening a week for 5 consecutive weeks, starting the week of Feb 11. 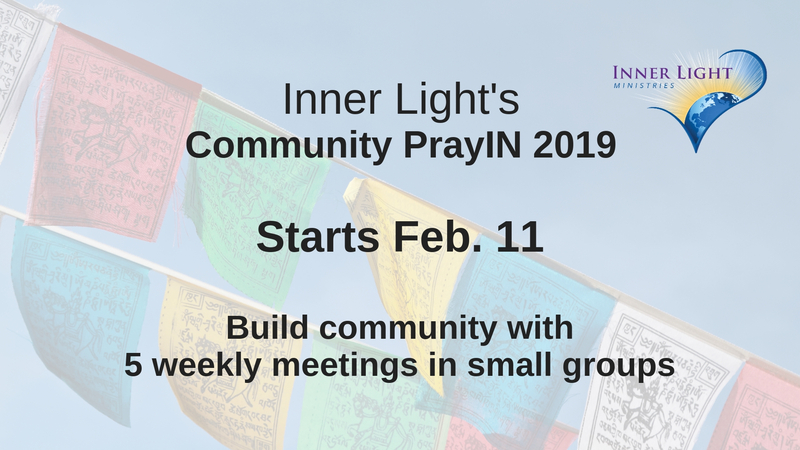 Groups are facilitated by Practitioners and Practitioners in training in private homes or at Inner Light. No cost. Donations welcome.